In the year 1993 my parents, Greg and Kathy Brooks, were finally able to begin working full-time as treasure hunters. The successful swimming pool business that they had been running together since 1982 would be passed onto my dad’s brother Matt. My dad had spent the past decade developing his interest and knowledge in the field of shipwrecks, boating and treasure recovery. His hobby had turned into a passion, and that passion transformed him from an ordinary person into someone willing to go the extra mile to pursue his dream. This is something we all are capable of, but not everyone acts on it. In 1993, the pieces had finally come together. There was enough money backing the project so that they could purchase a ship, the R/V Silver Seas. Up until that point, my mom had been working with my dad for Pool Creations. She had held other jobs over the past decade, including a waitress position at a Mexican restaurant, but she primarily helped my dad with running his swimming pool company. She would continue assisting him in his new venture, acting as his office manager and the head of payroll. This is a position she still holds to this day. Building a reputation as a reputable business was important to my parents. They wanted to show their investors that they were very serious and driven to achieve the goals they set out to do. They had many satisfied clients while operating the swimming pool business, and so having a good reputation in their new venture was of equal, if not greater, importance now. While it was exciting for people to invest in something as unique as shipwreck salvage and treasure recovery, my parents wanted these folks to know their money was in safe hands and that they were skilled and knowledgeable in their field. Over the next few years, they would prove themselves as a crew. My mom remembers this time as an exciting one, though very scary. It was strange going from such a stable income to a job with the promise of riches, but on such shaky footing. At the start, she wasn’t sure if things would pan out the way they wanted, though she remained hopeful. Over the first two years of the company’s life, money remained tight. 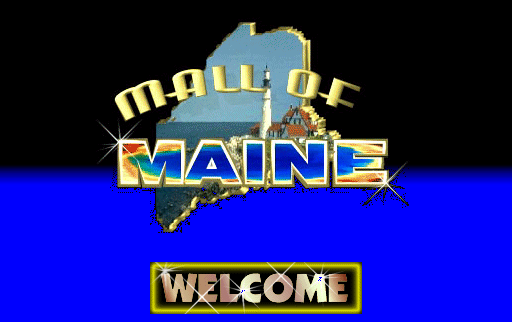 In late 1995, my parents started an internet mall called the Mall of Maine in order to collect extra income. My mom recalls: “It was my job to approach people in different businesses, and explain to them how we could generate business for them through the ‘stores’ we created specifically for them and their business. It was challenging, because the internet was a new concept, although many saw it would be the wave of the future, and wanted to be a part of it. It made me proud to think that the business people of our communities could be so forward-thinking at that time.” My dad has always been technology savvy, and so he created the websites for clients while my mom spoke with them and made agreements. This was my first exposure to helping my parents with their work. In 1995 and 1996, my dad started teaching me how to build websites. He showed me how to write HTML and use editing programs and FTP software to publish my work online. Of course, websites are very different now than they were then, but back in the mid-90s the sites we created were very cutting edge! I was only 8 or 9 at the time, but learning young seemed to help the material stick with me. I helped my dad update websites for clients, and even made my own (it was about Beanie Babies, which were all the rage at the time). Over time, I began helping my dad with the website for Sub Sea, and eventually became more involved with that company. It is true what they say, that some businesses are all in the family! My mom, dad and I are still working for the company to this day, along with my Aunt Cindy. When I was younger, I didn’t understand exactly what was going on with my dad’s business. I liked making websites and putting together graphics, but I didn’t comprehend the scope of treasure hunting or investor relations. I just knew my dad had a boat and traveled to get shipwrecks. That’s pretty much all I understood! I started helping my parents regularly years later. While I know I could never be cut out to work out on the boat, I love using my skills online to help my dad’s business. Writing this blog has been very fun for me, and I enjoy learning about my parent’s memories, and filling in gaps in my childhood. For instance, I remember my dad going away on specific instances, but interviewing him now, I get to learn exactly what he was doing on those occasions. I find it exciting to learn about the crew and how they’ve changed over the years, and how their ships have gotten larger and filled with more equipment. I hope you are all enjoying our blog posts too! Great post Ash, and it’s been fun watching you grow into the special woman you are with so many unique talents. I also love working together with you on this blog (though thank God you are the techie one).